Hollywood has recently faced a huge loss in the death of Adam West. He is also known as TV’s original Batman. Adam West left the world on 9th June after struggling a lot with Leukaemia (blood cancer). He played and lived the iconic character of ‘Batman’. West was also a voice artist and he was honored with a star on the Hollywood Walk of Fame. No doubt Adam West spent his entire life as a performer making people happy, making people laugh and trying to make this world a better place. As a tribute and token of love, thousands of his fans gathered and watched Los Angeles turning into Gotham (fictional city of Batman) as a Bat sign lit up in the sky this Friday. At the same time, actor Burt Wart, who played Batman’s buddy in Batman TV show in the 1960s also joined the family and illuminated the bat sign. Mayor Eric Garcetti and police administration was also seen to add to the environment created by fans as the mayor addressed the public as “Citizens of Gotham”. LAPD Chief Charlie Beck, West’s family, and Lee Meriwether, who portrayed Catwoman were also there at city hall. 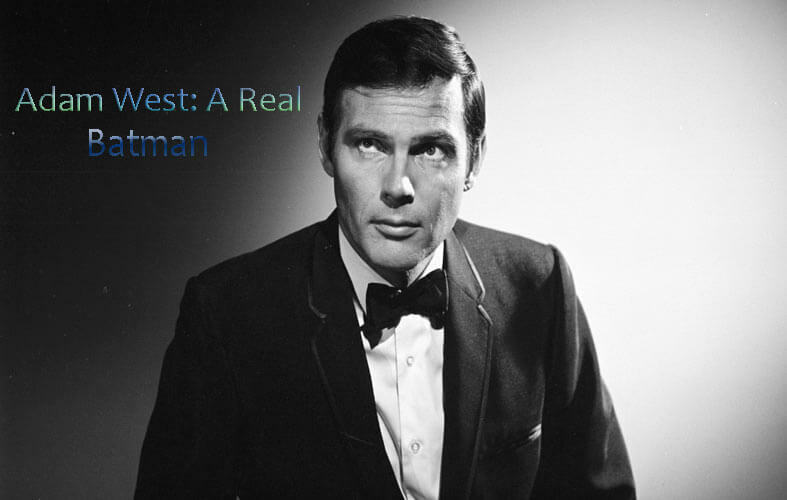 The real name of Adam West was William West Anderson. He was born on 19 September 1928 in Walla Walla, Washington. Adam West was inspired by her mother, who was an opera singer and pianist. He started his acting career in the late 1950s from TV shows, like Bonanza, Geronimo, The Outlaws is Coming, The Three Stooges and Bewitched. But his big break was the role of Bruce Wayne (Batman’s real name) in series adaptation of Batman comics for ABC. Although it ran on TV for only three years i.e. 1966-68, it made him immortal not only in Hollywood but gave him international recognition. In 1967, West got the “Most Promising New Star” award for the Batman: The Movie (1966). Unfortunately, he got bounded and typecast in ‘Batman fame’ and was almost unemployed for a while as he was not found apt for any roles. It resulted in the tremendous loss of his personal life. There was a struggle in his life for big acting roles. You cannot hide a diamond that shines like the sun. Adam West appeared in more than 50 projects- movies, TV and as a voice artist for cartoons. Batman Adam West joined the cast of Family Guy in 2002 and created a huge young fan following. He played Mayor Adam West in Family Guy. In addition to it, he did dubbing for Batman in cartoon including Super Friends: The Legendary Super Powers Show and The Simpsons. Talking about his personal life, it was quite a roller coaster ride. West married Billie Lou Yeager in 1950, and she was only 17 years old at that time. However, they divorced in 1956. After Billie, West took vows with Nagara Frisbie in 1957 and had two children with her. Ultimately, 9 years and two failed marriages later he married Marcelle Tagand Lear in 1971. She and Adam had two children together. He had his wife Marcelle, four children, two stepchildren, five grandchildren and two great-grandchildren as the family. For 90s kids, Adam was a literal hero as a kid and creative hero as an adult.